Z works for a retail company as a Head of Planning department with a team reporting to him. He reports to the VP who’s based in San Francisco, and works in tandem with his counterpart who is the Head of Merchandising also based in San Francisco– let’s call this person, Y. His department oversees planning the procurement of luxury household items, supporting the Australian business where the retail stores are situated. He has a stakeholder based in Australia (let’s call this person, X) who holds the overall accountability of the business there. 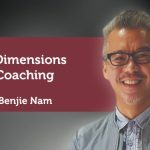 We began the conversation with me verbalizing the Coaching Agreement and understanding that the conversation will be a confidential one and that coaching isn’t a substitute to Counseling nor therapy. I also made clear that as the Client, Z would need to take ownership of his objectives and the process to achieve those objectives, while I as the Coach will support his discovery to his solutions. 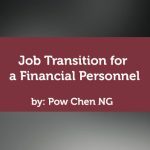 To the question above, Z shared what he does at his current employment and it was during this conversation, Z has expressed multiple challenges, but one was particularly repetitive for him –that is the strenuous working relationship between himself and Y. Therefore, Z has expressed the objective to discuss possible avenues to improve his working relationship with Y. Z shared that Y looks at Purchasing from an aesthetic perspective thus views brand positioning with great importance over other business measurements, while Z whose focus lie in the buying strategies, would factor in inventory state in the warehouse and sale performances (sell-through) of the products as a marker of efficiency and success. Due to the difference in departmental priorities, both leads could not agree on strategies at each discussion. Who’s involved and to what extent is this person(s) involved? How does their involvement affect you and your work? How important are their roles and their work to your department? How are they measured in their department? How is this relevant to your measurements for your department? Due to the disagreements between departments, Z’s spoke about how demotivated his team is.The low morale is a direct consequence of the strained communication between the two departments. Lack of product knowledge hinders their ability to plan for merchandising and thus, the buy. Z had shared his ways to incentivize his team, but he questions the longevity of those immediate gratifications. How is your team reacting to the current working relationship with Merchandising? What do you think is the reason behind the low morale? How important is this reports-generation tasks to the business? What have you done so far to boost team morale? A relationship that Z admitted doesn’t exist as he didn’t initially see X as a potential collaborator. Z also identified a channel to leverage on X, getting buy-ins from this person, and then through effects of sales, to influence Y to look at Merchandising from an angle that would benefit their common stakeholder (X) a little better! 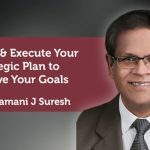 Besides leveraging on the relationship between X and Y, Z uncovered a new opportunity for his team to learn other aspects of the business to stay efficient to this stakeholder. What other department(s) would have a direct impact to yours? Who are they and in what manner would that impact be? How is your working relationship with this department? What can you learn from this department that will benefit you and your team? How can you then, correlate those learnings to improve on the work processes in your department? What level of influence do you think this person have on Y? How can you leverage on that? Z has identified a few opportunities to build a bond between the sales team in Australia and his buying team here in SG. This includes physical store attachment and scheduled discussions with the retail head for a better grasp on the consumer trends. Z also identified a new lead in the Australian business whom he can leverage from to improve his relationship with Y. This new lead happens to be the Head of E-Comm. Using the existing reports as a basis of discussion, Z has identified value-adding information and actions to help the Head of E-Comm fulfil their departmental needs. Through understanding E-Comm, Z plans to deliver better forecasts to support this business and thus, gain traction between them and his team. 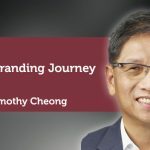 The outcome is to collaborate with E-Comm to increase their sell-through units and thus, influence Y to collaborate with Z on more effective buys. How can you utilize the E-Comm data analysis to help your department? How much can you leverage on this, but with the Merchandising department in SFO? What can you do to bring the strategies from E-Comm and Merchandising together, to benefit your departmental process? How soon do you think you should act on this? How far is this plan in comparison to what you’d set out to achieve at the beginning of this conversation? What can stop you from achieving what you’ve aimed for? What could be your contingency plan? Albeit being familiar with retail processes myself, I reminded myself to stay neutral, be client-centric and be biased-free as I form my thoughts on Z’s situation. I sought Z’s consent before posing sensitive questions to him, as my intentions were to further understand the degree of complications that exist. In each of his responses to my questions, there was a strong need to not be judgemental (or assumptive without grounds) and to give Z the safe platform for him to express without reservations, so he’d stay open in his thoughts. It was also important for me to demonstrate respect towards his personal and professional views surrounding his challenges. There were moments where I sensed frustrations coming from Z. My objective was to assist him to not only #1 acknowledge those emotions but also, #2 to see past these challenges and analyse them to derive possible solutions to act on. 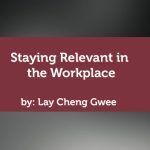 For this, I posed a series of questions to help shift his perspectives to move forward from status quo.This was especially evident when I attempted to reframe his views on his working relationships cross functions. Z was at first, resistant as he couldn’t’t see past the existing frustration he felt with Y. Reflecting on what I learnt from Merci Miglino’s Powerful Questioning coaching lab, I refrained myself from asking the ‘why’ (I could have asked, ‘Why are you feeling this way?’ – but didn’t) but rather ‘what’(instead I asked Z, ‘What do you think about this relationship?’) and the ‘how’ (‘How can you leverage from this current state?’). 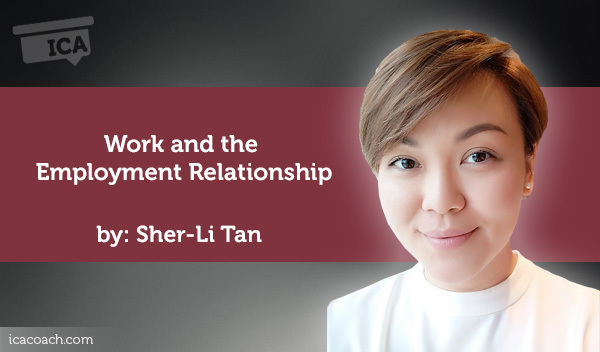 By the end of the 3rdsession, he was able to identify X as a collaborator who could help him improve his relationship with Y, which led to a new relationship to pursue (working closely with the Head of E-Comm). I paraphrased what I learned from Z before posing another question. Through this, I was able to ascertain mutual grounds to which he has set as important tasks for him to focus and act on.As we deep-dived into the organization chart to analyse the different stakeholders, I summarized what he shared about his sentiments of his colleagues, and questioned Z on who he could leverage on to drive his objectives further.